What if we could stitch a quilt of love between us? What if we could take the values that give our life meaning and stitch them together and create a warm blanket to share? What would you include in this quilt? Would we all include the same things? I would weave the common good, courage, justice, love, peace, kindness, truth, compassion, fairness, tolerance, acceptance, hope, freedom, passion, creativity, integration, justice, and connection. What values would you add? What would be the purpose of this Good Life Quilt? I think having one would provide us warmth and something to share. It’s colors and diversity and patterns would be woven together and give us something beautiful to touch and to see and to build together. When Charlie was born, he almost died. We were filled with fear and did not know what was wrong with him for 6, agonizing days. We had no idea whether he would live or not We had no control. And we just had to wait and watch and pray. We were scared and it was a very lonely feeling, even though there were so many that wanted to help us. 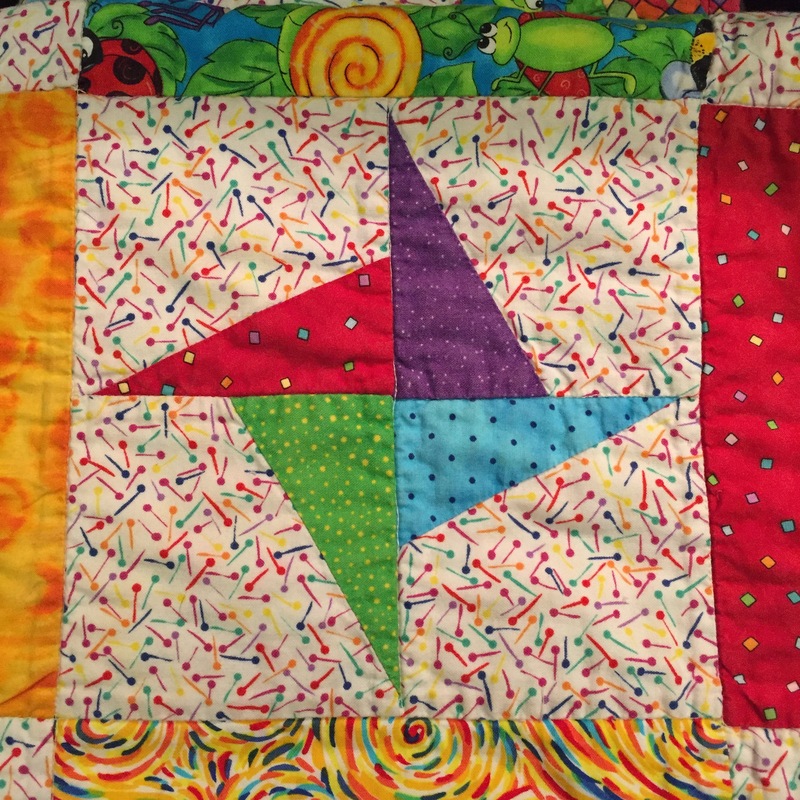 One thing that provided comfort in the sterile intensive care unit, was a handmade quilt inside his bed. I wondered where it came from and why it was there. It was stitched by a volunteer group who gave of their time and their talents and added warmth and color and a sense of home to his little bassinet. It felt like a warm hug and provided hope of normalcy, that one day he’d be in a cozy bed in our home. Dreams do come true. May you be covered with a Good Life Quilt and stay warm and loved. Each day I am thankful for God’s unending love and grace in my life. Natasha was taken to the ICCU soon after her birth. We stayed in the hospital for 10 days. Each day I would look at her through the glass door and wonder when she will be OK. We don’t have any of her pictures from when she was born. All those memories brought me a chill an it felt like yesterday as I read what you shared about Charlie. I am thankful that our kids are healthy and well. I’m thankful that our kids are healthy now!! It was sure a struggle at the time, wasn’t it? I’ve never had such fear before.